Highly acidified conditions due to the release of HCl and CO2 are a characteristic of most seafloor vent systems including the shallow-water hydrothermal vent system of Kueishan Island, off the coast of Taiwan. This shallow water hydrothermal vent system has been described as one of the most acidic vents in the world, discharging water with a high content of elemental sulfur particles, having temperatures ranging between 76 and 116°C and a minimum pH of 1.52. 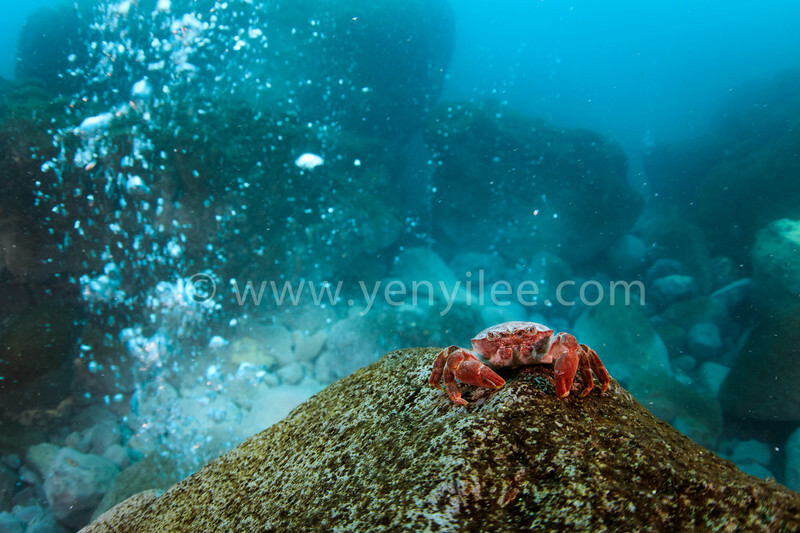 This challenging hydrothermal vent habitat is inhabited by Xenograpsus testudinatus, a crab species that is endemic to shallow-water vent systems. X. testudinatus is the only metazoan species found in the direct surroundings of the vents. These crabs have evolved a unique feeding behavior by feeding on dead zooplankton killed by the toxic vent discharges.